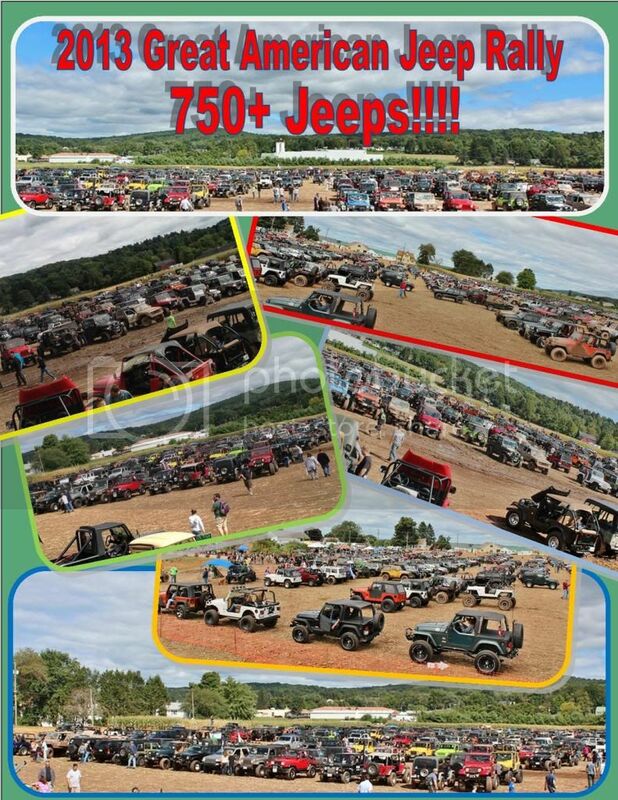 We are very happy to announce that we hit the 750+ Jeep count for this year’s Jeep Rally. That beats our old record. Obviously doing that takes a lot of help and we would like to thank our sponsors; T&T Customs, Clayton Off Road, Quadratec, Bolles Motors, Extreme Axle Sales, Hyline Offroad, Cutting Edge Graphics, Jeep Tweaks, Elias 4WD, Liberty Mutual, TSI Harley Davidson, Restless Lifestyle, JKS Suspensions, BDS Suspensions, Zone Off Road, Crown Automotive, Hurst Strength, Warrior Products, TeraFlex, A to Z Fabrication, Kar Kare CARSTART, K&N Filters, RunCool, Crawling For A Cure, FDNY Jeep Wrangler Tribute Jeep, and Ground Pounder Fabrication. Also a huge thank you goes to our volunteers, without them nothing would function properly during the day. Las but by far not the least a huge thank you to Brent Moser the owner of Valley Truck and Off Road, not only does he let us use his property but he also does a ton of work for us prior to the event. Please post to your clubs. If everyone could please post this to your forums. Feedback is a wonderful thing for us. Survey time. Every year we send out a survey in the hopes that all of you will answer it. This is what helps us make improvements year to year. We do try to address all of them but sometimes money, time and insurance will not allow us to do everything. I had to break the surveys into two links because we can not extend 10 questions per survey. Also note we do not save or sell any information you include in the survey.